A quick post to share one of my card published in the latest Australian Cardmaking, Stamping and Papercraft magazine. See that card inside a circle on the right side for designing with clouds theme! Thats the one. Here is the full reveal. I have used Taylored Expressions Build a Scene: Rolling Clouds dies to make my background. I die cut the clouds, sponged distress inks on them and then layered glued them to make my background. To keep the background as the highlight because that is the theme, I added another die cut as the sentiment in contrast colour. The sentiment is from Essentials by Ellen. And embellished with Pretty Pink Posh Sparkly Clear sequins. Hope you like it. 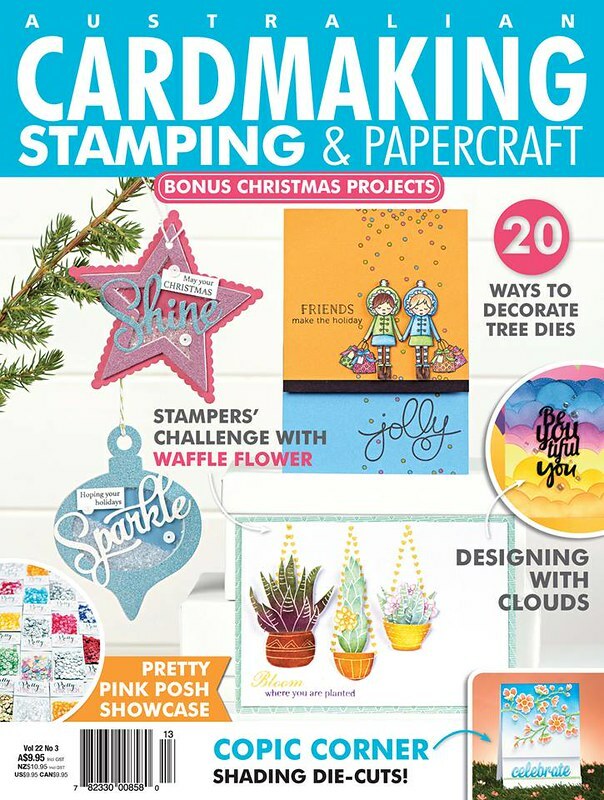 The latest edition of the Australian Cardmaking Stamping and Papercraft magazine is now available to purchase from all the major supermarkets and news agencies. If you like to subscribe to the magazine, HERE is the link. There are plenty of inspirations for you from some talented designers. And a full page feature on Pretty Pink Posh products.Get it quick before they are sold out. OMG, this is so spectacular, no wonder it was published! Congratulations!!!!! I LOVE LOVE LOVE this card!!!! Gorgeous! Congrats on being published ~ can definitely see why they chose your stunning card. Congrats Gayatri!! Love this card!! Big congrats Gayatri, pretty card!! Awesome! Congrats on a job well done. Your card is so adorable! 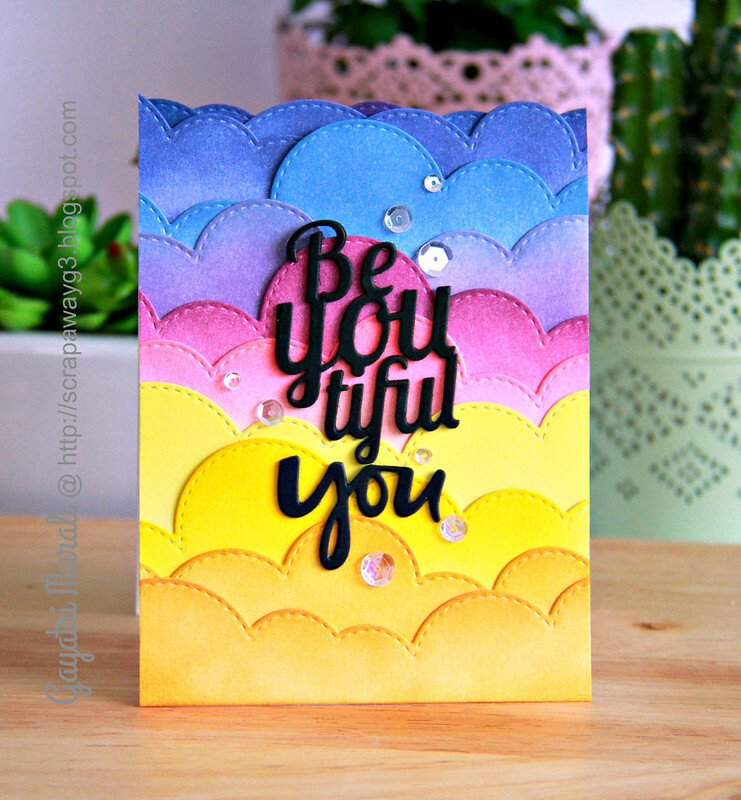 Beautiful card – fabulous inking!